Discover the history of New Orleans through its architecture on a 2-hour walk around the French Quarter. Enjoy a leisurely stroll with a local guide to explore the many building styles prevalent in this neighborhood, with special attention to the history and the features of French and Spanish architecture. Hear the stories of the 18th and 19th century architects and families who made their mark on this unique area. 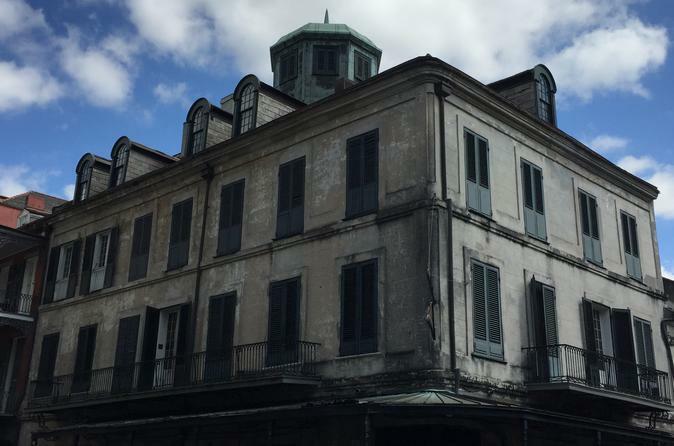 Buildings included in this tour range from Creole Colonial buildings such as the Ursuline Convent and Madame John's Legacy to the 20th Century Louisiana Supreme Court. Departing from the meetup point, you'll be given a brief introduction to New Orleans history. Then head into Jackson Square, where you will learn about the main focal points of the city - St. Louis Cathedral, the Cabildo, and the Presbytere. A short walk down Chartres Street will introduce you to the common features prominent in French and Spanish architecture. Then you will head down bustling Royal Street to seek out other architectural wonders such as the city's first sky scraper. A slight turn onto Dumaine Street provides you with a glimpse of what New Orleans looked like before a major fire in 1788. The tour ends just a few blocks away, near the Ursuline Convent- the oldest building in the Mississippi Delta.